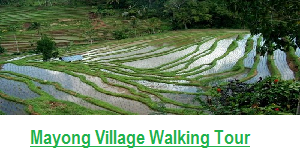 Ubud Village is a famous village in Bali that you may visit during your trip for Mount Batur Sunrise Trekking Tour, here you can visit Ubud Village when you come back from the trip. Need more detail about Ubud Village? Below is the answer. Why Ubud is Nice place that you should visit when you come to Bali ? because Ubud Village is a traditional village supervising 13 Banjar (group of community) and 6 custom countryside. 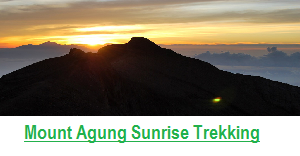 It is located in Ubud and just take 1.5 hours drive from Bali Airport. 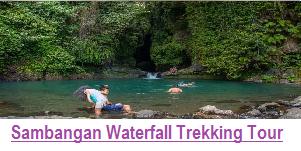 Ubud Vilage can be reached within 30 minutes or 15 minutes from Gianyar Town and this place is situated in the high land about 300 meter above sea level therefore the atmosphere in Ubud is very fresh. Ubud is surrounded by the good temperature compare with other regions in Bali where the temperatures are relative cool that is ideally for everyone to stay in this beautiful place. This village is occupied with more than 900 peoples which most of them are Hindu. They able to keep the environment naturally so that way this place usually used by many tourist/people/actors to get the art inspiration. Ubud Village is also well known as a Traditional culture village where we easily find the local community presenting traditional cultures from the ritual up to the traditional dance performances. This village own the rich culture with the history heritage of all big actors, especially all famous artists, for example I Gusti Nyoman Lempad (1862 – 1978), Anak Agng Gede Sobrat (1919 – 1992), I Gusti Made Deblog(1910 – 1968), afterward caught up by others like, I Gusti Ketut Kobot, Ida Bagus Made, Dewa Putu Bedil, Ida Bagus Rai and others. The popularity of all above artists follows to give the inspiration to all west artists to live in Ubud Bali. In year 1920’s, two European artist people that are Rodolf Bonnet from Dutch and Walter Spies from Germany inscribe the new history of artistic growth paint the countryside of Ubud. Second, the European artist introduce the European esthetics technique especially illumination area, shadow, perspective and anatomy. All local artists permeate the new technique matching with value and base on local mind fixed take the traditional so that able to give the separate identity by the name Ubud. Ubud Village progressively famous as a born area of all painters because the existence of the cooperation between Tjokorda Gede Agung Sukawati and Rudolf Bonnet to form the Pita Maha. Pita Maha represent a place to discuss the artistic growth and problem paint, and also to compare mind to each other and introducing result of art which they own. 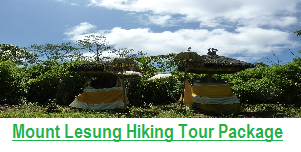 Ubud Village Tour is an exciting tour package to visit places interest in this village and surrounding area. 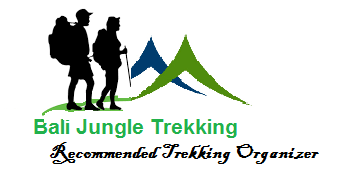 There are other Ubud Tour Package available which all of them visit this village like Elephant Ubud Tour, Rafting Ubud Tour , Elephant Safari Ubud Tour and Ayung Rafting Ubud Tour . 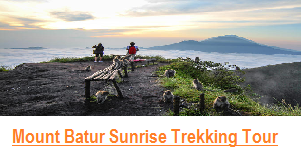 And also as a Bali Trekking Orginzer for all over of Bali area we already create combination package of Mount Batur Sunrise Trek and Rafting Combination tour, so if you not stay in Ubud, this is the best time for you to explore more about Ubut without wasting a lot of your time, we do all in 1 day. and we can see many things in Ubud area such as Ubud Market as below detail description. Ubud market is one of interesting place to visit when you come to Ubud, this market is still very nature, The market like this is can’t be found in another country except Ubud, and Also Ubud Traditional Art Market where the existence is not far different from other markets available in the tourism area. This market as a society economics center of Ubud and it is apposite to the existence of Ubud Empire that is called Puri Saren. The market is unfolding from west to easterly divided become two group with different purpose. There are two markets available at the same area those are one block at the Westside is for a traditional artistic market and another block located in the east as an everyday traditional fundamental market requirement. This market is opened every day about at 08:00 until 18:00, even some from them still open until nighttime. While the traditional market for the fundamental requirement is opened everyday at 06:00 – even before that there is morning market started at 04:00 morning so the best time to visit Ubud market is in the early morning. It is very simple way and easily to find Ubud Market since it is very famous among the Balinese and it is strategically located in the center of Ubud Village. This market is located just in the front of Ubud Palace with crowded of visitor who purchases the items every day. This market is close to other places of interest in Ubud like Ubud Palace, Ubud Monkey Forest , Tegalalang Rice Terrace, Painting Museum and Gua Gajah. 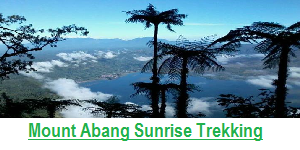 So now if you already book Mount Batur Trekking, we can just combine it, we can take you to above mentioned places after the trek, since we still have enough time to explore Ubud Because the trek normaly finish at 9 am and we need just 1.15 hours drive from Kintamani to Ubud Village.